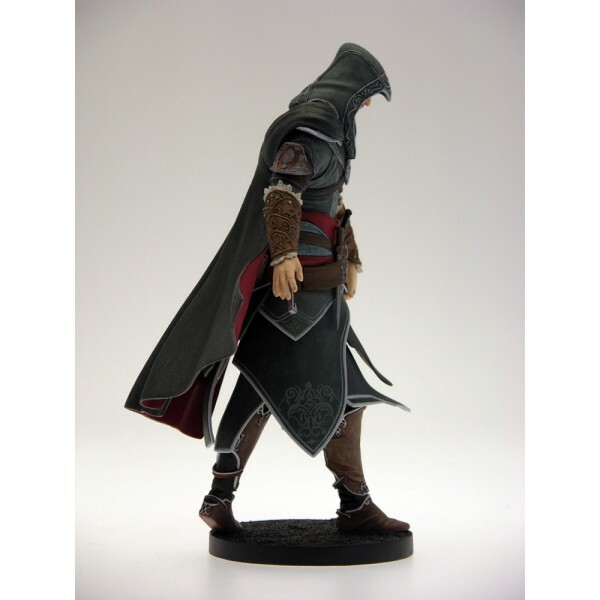 High end PVC Statue of Ezio, the main Character of Assassins Creed Revelations, the same character as in the Blockbuster Videogame Assassins Creed Brotherhood. 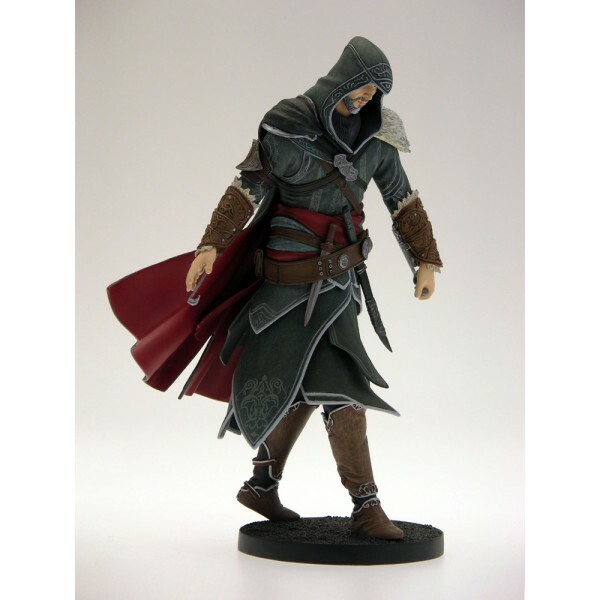 The statue measures 22 cm high and comes with highest detail. 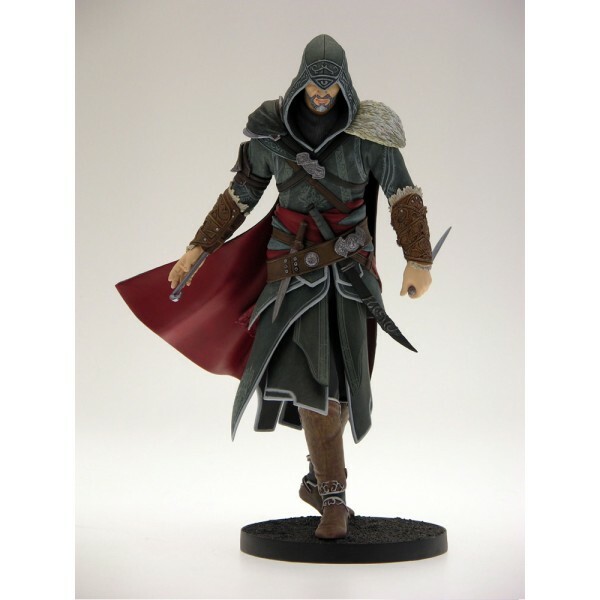 Ships in window box and comes with base.